This light microscope image shows the porous silica surface of a living diatom cell from the organism Coscinodiscus wailesii. Diatoms are unicellular, photosynthetic phytoplankton whose bodies are made up of silica. 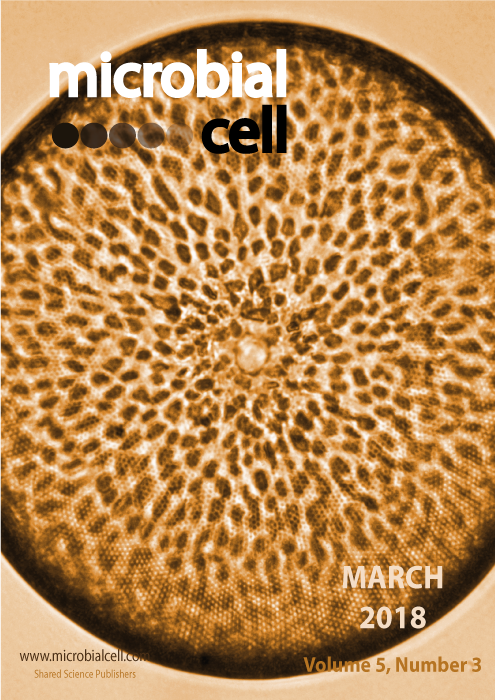 The diatom cell is covered in hexagonal-shaped pores, about 1 µm in diameter (image by Debra K. Gale, Oregon State University, USA); image modified by MIC. The cover is published under the Creative Commons Attribution (CC BY) license.